The “Operation Jubilee” was conceived by the Allies Combined Operations Headquarters in April 1942. Although its main objective is unclear, few other ones were obvious. 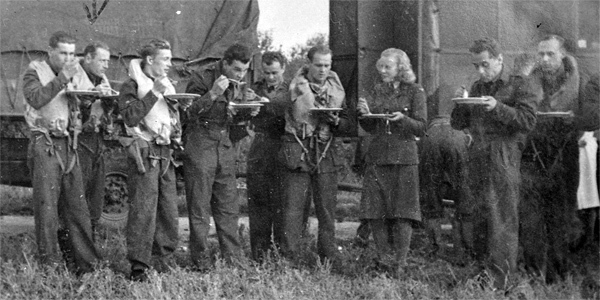 Among them was a tempting idea of a major air battle with the Luftwaffe, which since the previous year, avoided major confrontation with the RAF. 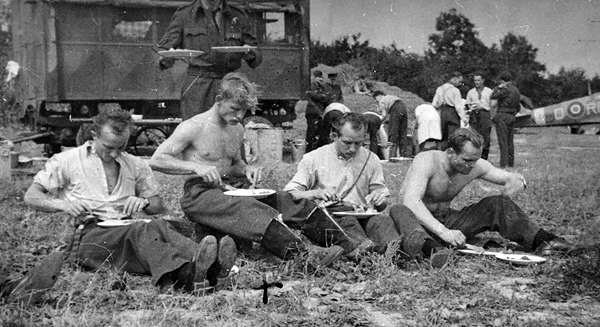 The Dieppe Raid was perfect occasion to entice Germans into fight, which became the biggest WW2 air battle over the European continent. The command of the Allied air operations supporting the raid was given to Air Vice Marshal Trafford Leigh-Mallory, KCB, DSO, at that the CO of the 11 Group of the Fighter Command. His tactical stuff estimated the number of sorties needed to do the job, and Mallory was given a permission to use a massive number of aircraft. Altogether, he had over 70 squadrons at his disposition, with 48 Spitfire squadrons among them. On the August 19, 1942, together with four other (302, 306, 308 and 317) the 303 Squadron took part in a huge melee over the French coast. Long before dawn, the whole unit was awake and at 4:20 was reported at readiness. The previous evening pilots were briefed about its assignments in the upcoming operation. S/Ldr Zumbach - 1 FW190 destroyed and one probable. F/Lt Marciniak – 1 FW190 probable. P/O Glowacki – 1 FW190 destroyed. P/O Kolecki – 1 Ju88 destroyed. P/O Socha – 1 FW190 and 1 Ju88 destroyed. F/Sgt Giermer – 1 FW190 probable. Sgt Karczmarz – 1 FW190 probable. 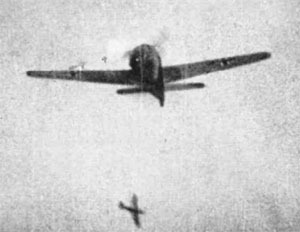 Ju88 being chased and hit by a fighter. Photo: "Gun Camera - WWII", Douglas Keeney, Avion Park, LLC Publishing 1999. F/O Horbaczewski – 1 FW190 destroyed. Sgt Stasik – 1 FW190 destroyed. F/Sgt Popek – 1/2 FW190 destroyed. A FW190A2 of JG26 in August 1942. Profile by Jarosław Wrobel, "Dieppe 1942", AJ-Press 1999. S/Ldr Zumbach – 1/3 He111 destroyed. F/Sgt Giermer – 1/3 He111 destroyed. P/O Glowacki – 1/3 He111 destroyed. Sgt Rutecki - 1/3 He111 destroyed. At 18:30, 19 Spitfires took off to patrol between Beachy Head and SelseyBill, about 8 miles from the cost. The flight was carried out at 4000 feet in deteriorating weather and with poor visibility. 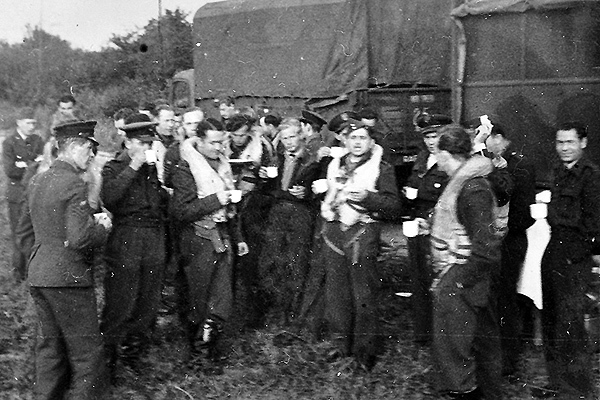 The convoy was not bothered by the enemy aircraft, and at 19:45 all planes landed safely at Redhill. No reports were made. During the day, No. 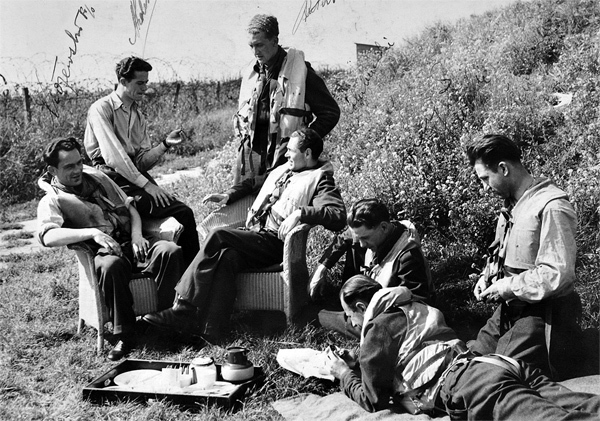 303 Squadron became the most successful RAF unit. It suffered one pilot missing, 1 Spitfire missing and three damaged. Sometimes after the war. 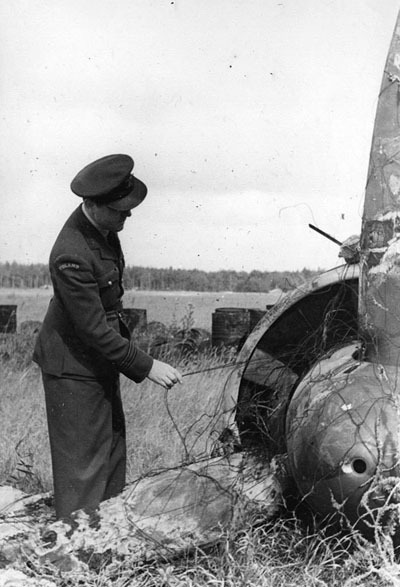 S/Ldr Jan Zumbach DFC examining the wreck of Ju88. He never shot down that type of aircraft.